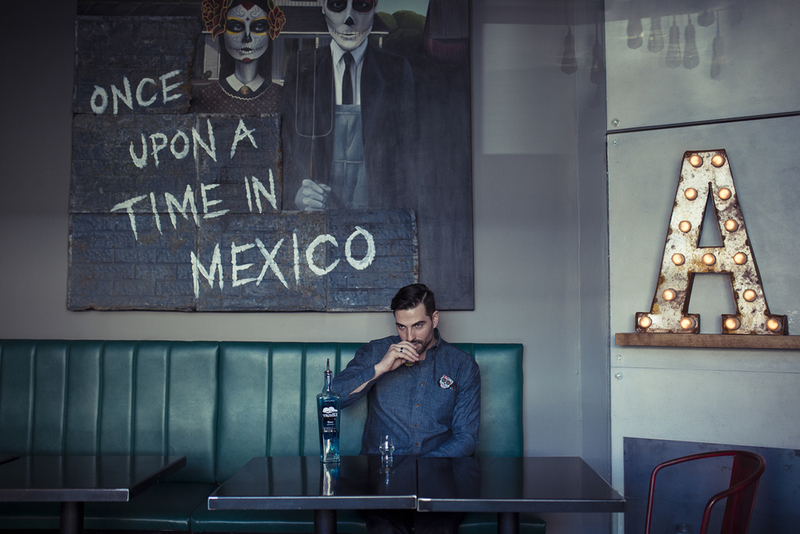 Owner of Ace Mercado, restaurant that specializes in Mexican rooted cuisine, Phil Faubert photographed for Style Magazine in Ottawa. 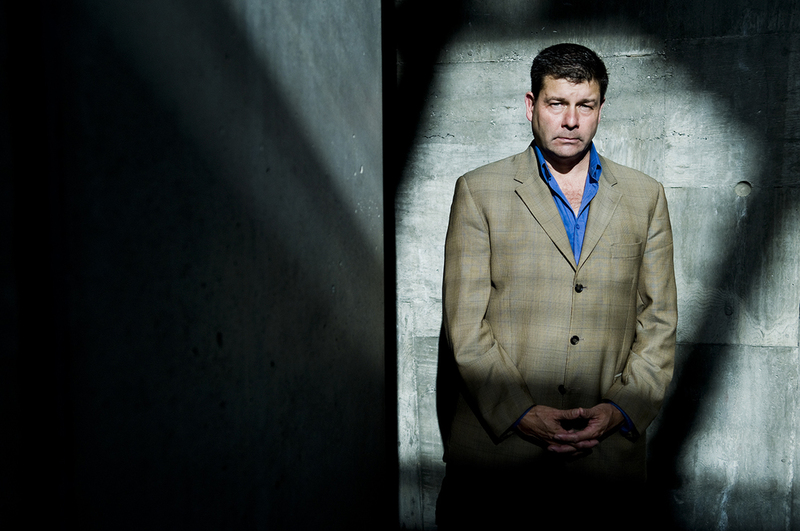 Canadian journalist Scott Taylor is photographed at War Museum in Ottawa. 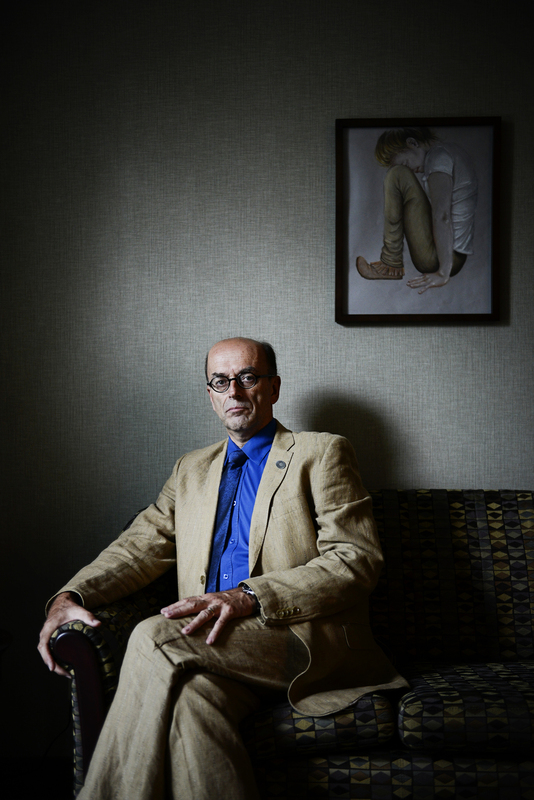 In 2004, while covering the conflict in Iraq, Taylor was kidnapped by Ansar Al-Islam and held captive for five days. Portrait of Claude Poirier the president of the Canadian Association of Professional Employees (CAPE) taken at his office. Portrait of Korean War veteran Eric Devlin. Jamaican-Canadian dub poet and 3 time Dora Award-winning actor and playwright D'bi Young Anitafrika laughs during the photo shoot at slam poetry event in Ottawa. Minister of Employment and Social Development Jason Kenney is photographed in his office in Ottawa, February 26, 2014. Hockey coach and Ottawa Senators fan Sébastien Fortin. Photographed for the story on Senators fans who canceled their season tickets as a protest to the team's policy change. Local slam poet Jamaal Jackson Rogers, 'JustJamaal the Poet', is one of the hosts of the slam poetry jam at House of PainT Urban Arts Festival in Ottawa. Dancer, entertainer, and artist coach Julio 'Klown' Santiago. Ottawa city councillor of Rideau-Vanier Ward Mathieu Fleury. Old school b-boy and entertainer Wayne, aka Mr. Quick, from the original Canadian Floor Masters.